Today I played around with monoprinting. I love the element of surprise. I also love that I can’t be attached to the outcome, because I have no idea how it’s going to turn out. 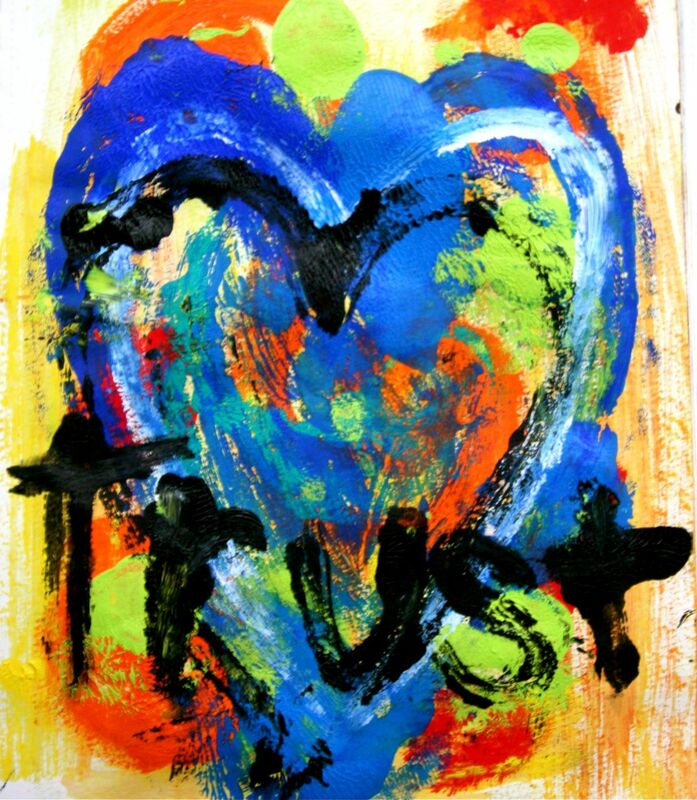 This painting reminds me to open my heart. Be still. Ask questions. Feel the answers. Your Personal Reflection: Right now, stop. Give yourself one minute of stillness. Take a breath. Ask yourself a question. Close your eyes. Feel the answer. Breathe. wonderful image! Very organic. Thanks for sharing it! Love this… and my word of the day is "Grace"… it is being worked into art as I type. LOL. This is wonderful. So vibrant and full of life.